Believe it or not, it is exceptionally easy to farm money within this game, especially after defeating the Elite Four. You see, once becoming the Kanto Region Champion, you will have the ability to challenge the Gym Leaders to a battle on a daily basis. On top of this, you will be able to challenge the Elite Four as many times as you would like after first defeating them. Furthermore, by visiting the Diglett in the Safari Zone Warden's house within Fuchsia City, you can obtain a Nugget from it each and every day (the same that can be sold for loads of cash at PokeMarts). 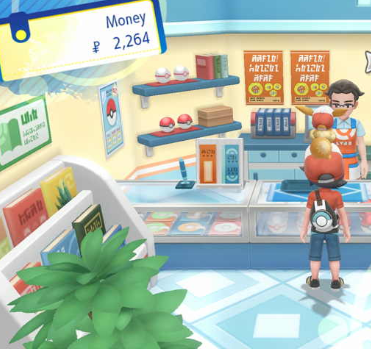 By battling all the Gym Leaders and the Elite Four Members, as well as by visiting the Diglett in the Safari Zone Warden's house, once a day after becoming the Kanto Region Champion, players can stock up on cash in a hurry since all of these trainers pay your trainer the highest amount of money after losing in battle.